We enter the last 2 weeks of the year 2014. This year I baked consistently at least one or two cake(s) a month and at times little more. I love baking and getting better with it as I practise more. There are few things which you learn about oven to other kitchen appliance and their unique characteristic. Got a dedicated simple cake book and hand mixer to experiment more. Some pictures from recent time. Woke up at 4:25 AM ; it was supposed it be a a long day for me as I try to run 39 KM practice run in a easy pace. 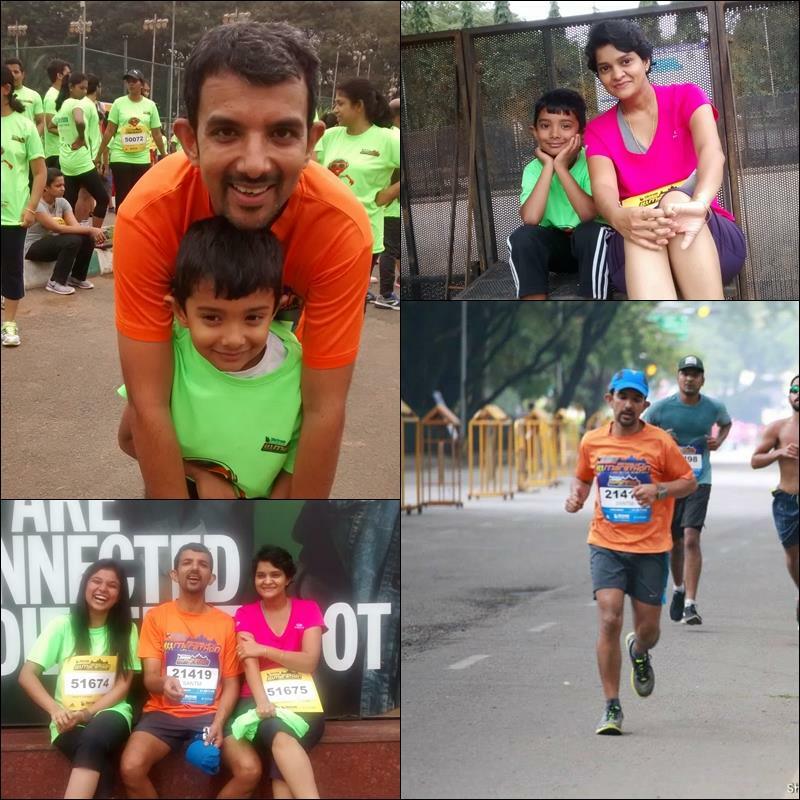 Though I am not going to participate in the upcoming SCMM (Standard Chartered Mumbai Marathon) 2015 I decided to stick with the full marathoner group to see how grueling their preparation can be. Assembled at 4:45 in front of the NCBS gate and met an ultra marathoner from our running group who already covered 23KM starting from 02:30 AM. Oh! boy still trying to keep my eyes and mind open and then you see this great guy who is running with a BIG SMILE. Really he is a person with big heart and great smile. He has transitioned to braefoot and was holding a small flashlight as he keeps on running in dark. Being December we decided to run only in the lighted area till sky gets clear which is almost an hour away. We started at 5:15 sharp and continued till almost 12 KM. Somehow I was running alone though there were two just running behind me. I realized missed the first planned water break after an hour but continued with them. Now sky being clear went for the full round of GKVK and completed 22KM. Had a banana and water and went out for the next round. Somehow in the mind I was determined for 35KM as was not sure on 39KM. A week before only could do a 30KM of running around Jakkur lake. As I crossed 28KM I started to feel my calf is burning with pain and I am slowing down. I kept on saying to myself there is no stopping before 35. I completed 30KM in 2:50 which was a very impressive achievement in itself. And completed 5 more in 3:22 :) but had to stop with my legs. Good thing now these cramps comes after 30/33K earlier may be 18/20K. Came home with a quick shower was back to normal. It was a school day for Pamela as they had big annual day for senior class. 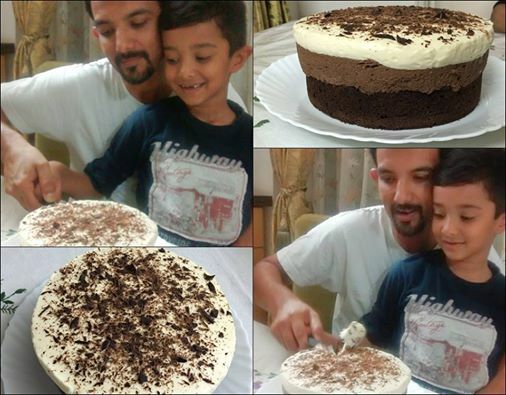 While me and Aarush decided to bake a cake (Mocha Pudding) of his choice. Aarush was real gentle he allowed me to take a proper nap in the afternoon and did not touched iPad ;) woke me up on the correct time. The cake was second one from the new cook book called "1 Mix 50 Cakes". All went super smooth, cake came out nice. Pamela called saying she is on her way to home and I thought to clean up few tea cups and glasses from sink and BANG I realized the glass I was holding slipped & hit the side of the sink and oh! no blood and blood all around. I had no choice and tried to put turmeric powder from kitchen shelf to stop the flow, it slowed down but could not stopped it completely. I prepare myself to drive down to hospital and luckily Pamela made her entry as an angel in the door. We three went to hospital emergency. Soon it was all about getting the wound cleaned and prepared for the stitch work. Got four stitches on my little left finger and headed back home. Could not stop myself thinking about the definition of accident.... while in road many a times it is because two or three person taking chance and they met an accident and later blame each other for the same. Here there was not a single soul around me. God knows how many times washed fragile items and nothing happened and today after cutting so many wine bottles with perfection I am wounded without any anticipation.